Facebook Wants to Buy Drone Firm Titan Aerospace - But Why? The race for connecting the next "billion people" is on, and several companies are trying to do so through various strategies. Google last year announced Project Loon – an experiment that it hopes may someday be able to provide Internet to people in third world countries who otherwise don't have access. Now, Facebook may soon try to do the same. A report from TechCrunch on Tuesday suggests the company is ready to cough up $60 million – a small fraction of the price it paid for WhatsApp – to acquire drone-maker Titan Aerospace. The idea is to fly these solar-powered drones far above the earth and to beam wireless signals down to the ground where people can use those signals to connect to the Internet. 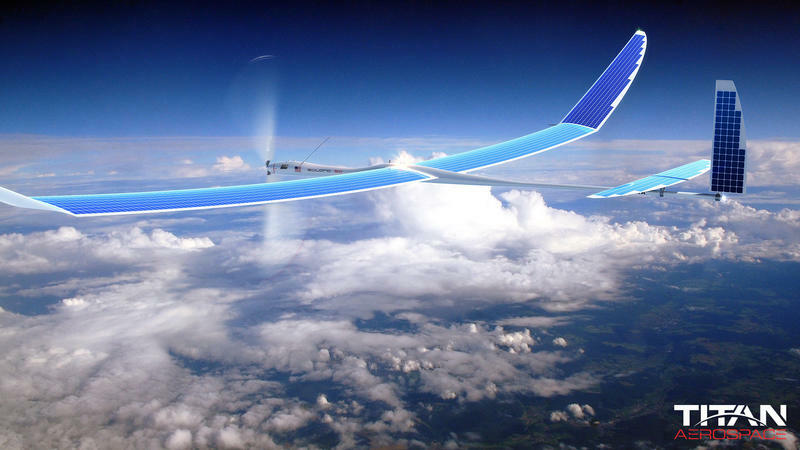 According to TechCrunch, Facebook wants to use 11,000 drones to do so, each one capable of cruising for 5 years thanks to solar power – and will take advantage of Titan Aerospace's Solara 50 and Solara 60 drones, which fly about 12 miles above the earth. While the effort may seem humanitarian on the surface – the social network is part of Internet.org which aims to bring Internet to the rest of the world, after all – Facebook very likely also wants to connect all of these people to its services, too. The most compelling part of this whole story, to us, is Facebook's attempt to enter a new space as an Internet provider of sorts. So far, the firm is a provider of software services through its social network, Instagram, WhatsApp and more. It also generates revenue from ad sales. Connecting even more people, who otherwise don't have access to the Internet, would create a new flood of customers to Facebook's services, and during Mobile World Congress it announced that it's working with wireless carriers to help provide Internet – now we know how it plans to do so. It's essentially the same idea of what Google is trying to do with Project Loon – one that Bill Gates has trashed, noting that emerging countries are better off with tools on the ground, like nets to fight off mosquitoes and malaria. After some research, however, it appears the drones are more efficient than wireless towers – a single one can theoretically provide 1Gbps Internet coverage to 17,300 square kilometers, about the same area that it would take 100 wireless towers to blanket. Of course, the other side of that argument is that, with access to the Internet, these emerging markets can create new jobs and will have access to tools for education. With Internet access, the markets are better prepared for new connected devices, like computers and smartphones. We know that Google and its OEM partners, through Android, are also working to deliver those technologies to the rest of the world. One would think that, if Facebook and Google are really genuine in the desire to connect third-world countries to the Internet, the two could pool resources and work together. For now, the two are battling it out separately.